This post is by a very special guest--my mother! I started running when I was 14—40 years ago. I run because I feel wonderful afterward and sometimes even during. Since I was perhaps 21, when my breasts reached their permanent size, until only a few years ago, the lack of proper sports bras interfered with the pure freedom of running I remembered from the early years. A world where engineers long ago invented bounce-free egg cartons, spaceships, and even baby strollers, someone ought to be able to come up with a sports bra that works. Lucky for us, a few are starting to hit the mark. 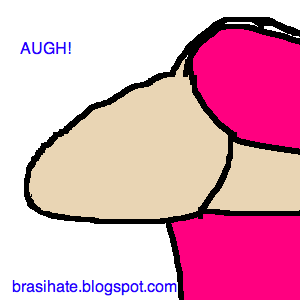 I have concluded that a good sports bra is so rare because until recently, too few well-endowed women haven’t insisted. And, of course, many haven’t insisted because they didn’t find running very comfortable, the classic Catch-22 situation. I too have at times wondered if I shouldn’t run because I don’t look like Joan Benoit Samuelson. But no, that’s silly. Humans, thin, padded, and even overweight, were made for running through the savannahs. We can run without any bras, as women no doubt did for millenia, but in a world with every available technology, why should we? At any rate, I’ve always come back to running. Short of spending an entire day going up and down a mountain, which interferes with things like making a living at sea level, no other exercise comes close in terms of the joy and contentment it delivers for so little cost. Running is the perfect exercise, aerobically, financially, and practically. But a sports bra that holds the bottom of the breasts tight against the body is a piece of equipment I won’t do without. And most sports bras on the market fail to do this. My personal history with sports started early, when I didn’t need a good bra. Which might be why I continue in my quest to run. I can’t forget what it was like when it came so easily to me. When I started running in 1973 I wore a 32A bra. My friend Jane’s mother told a group of girls that Title IX, the 1972 federal education amendment, meant we could go out for the cross-country team. Jane and I both had brothers on the team; my brother said I should go for it. Soon I was doing workouts of 5 and 10 miles and racing uphill against boys. In the first meet, I beat a boy in the final sprint. I had unleashed a tigress within. I was 14. There were no sports bras. At all. But then, I hadn’t finished growing, and I was fairly skinny and flat-chested—come to think of it, not unlike the women modeling the cool and unsupportive sports bras in today’s Patagonia catalog. The kind of women I have finally learned I will never look like. When I was 15, I placed seventh in New Jersey in the girls’ mile. The next year, I suffered an injury, probably a stress fracture from unpadded men’s running shoes that we wore then (that’s another story for another blog). I stopped running for almost a year, then tried it again, but ultimately stopped team running. That coincided with very normal growth in my breasts. I come from a family of late bloomers. My breasts did most of their growing between age 17 and 22. Around the time I started running, some very negative messages started coming at me from some very trusted people, including my own beloved mother, my ballet teacher, and the ballet teacher’s husband. When I was 13, the otherwise nice ballet teacher’s husband had once gone around the dance rehearsal with a clipboard recording how many pounds each of us should lose. I should have walked out! 7 pounds? My short career as a dancer is another story, but this kind of scrutiny laid the groundwork for the attitude that a woman must work her body to fitting some imagined ideal. When I found running as a sport, though, I forgot about all that. I was just borne away on the pure high of competitiveness and endorphins. But in the greater culture, most girls my age longed to look very thin. This was an age of anorexia nervosa and bulimia, two problems I never had. This is relevant to sports bras because, back in the 1970s, when I was going through all this, the default attitude was that if you could not find clothing off-the-rack that made you look good, or if that fashionable stuff didn’t fit, that meant something was wrong with your body, rather than that the clothes were inadequate to reality. I told myself then that I too wanted to be very thin, but my real goal had more to do with feeling free and unselfconscious—the way I had felt at the top of my running form. When my breasts began to grow into their 36C size—or, as I learned a few years ago when my daughter took me to a proper bra fitting, 34DD or 32E—I wished they’d be a little smaller not so much because I wanted to go on the stage or screen—because I wanted to be an athlete and I didn’t think I could be a good athlete with a chest. In college, when I did go running for exercise, my regular underwire (as I wore by then) bras were all I had, but they chafed pretty terribly. I never would have considered running the kind of distances that it turned out my body is best suited to. I would have had to bandage my chest at the spots where it met the bra. 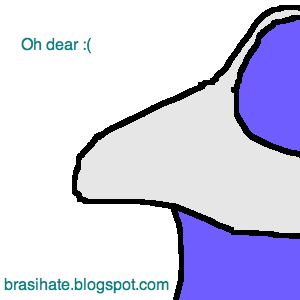 I started to wish for a bra that would mummify movement like a roll of tight gauze, preventing me from bouncing. Well, the most popular sports bras that came out finally in the late 1970s claimed to do that. They said they would compress the breasts—not quite like binding them, but close. What they actually did was function like a large, loose-fitting bandage, as a friend of mine once remarked. It was a reasonable goal, to prevent breasts from bouncing too much. It’s one important element of freedom during sports, but it’s not the only one. More about that in a second. I ran only sporadically while in college (1977-1981) and didn’t own a sports bra until the early 1980s, when my brother co-owned an athletic store. I bought the first Jogbra, whose inventors literally sewed together two jock straps in the design phase. Moving Comfort shelf bras, designed to compress, came next. I wore a number of those through the 1990s, after I’d borne and breastfed two daughters and was back to running on a daily basis. These early compression bras had nothing going for them other than compression and then only if you bought a small enough size. The bands underneath the breasts weren’t wide enough or strong enough to hold breasts close to the body. They didn’t eliminate bounce. Most of them still don’t. Take the Patagonia bras of yesterday and today. Sports bras really need to constrict. No bra will stop bouncing entirely. But good ones can hold the bounce close in and prevent the breasts from spilling out the bottom as you run. Title Nine discontinued the Frog Bra some years back, but I still have a size medium one kicking around the house. I tried it out the other day and found its magic had all been in the spandex, which by now has lost its punch. You can see from the design that this bra has nothing else going for it other than covering the breasts. Four years ago, I discovered this Freya Active bra that encapsulates, uses little elastic, and doesn’t chafe. This bra is not a looker. 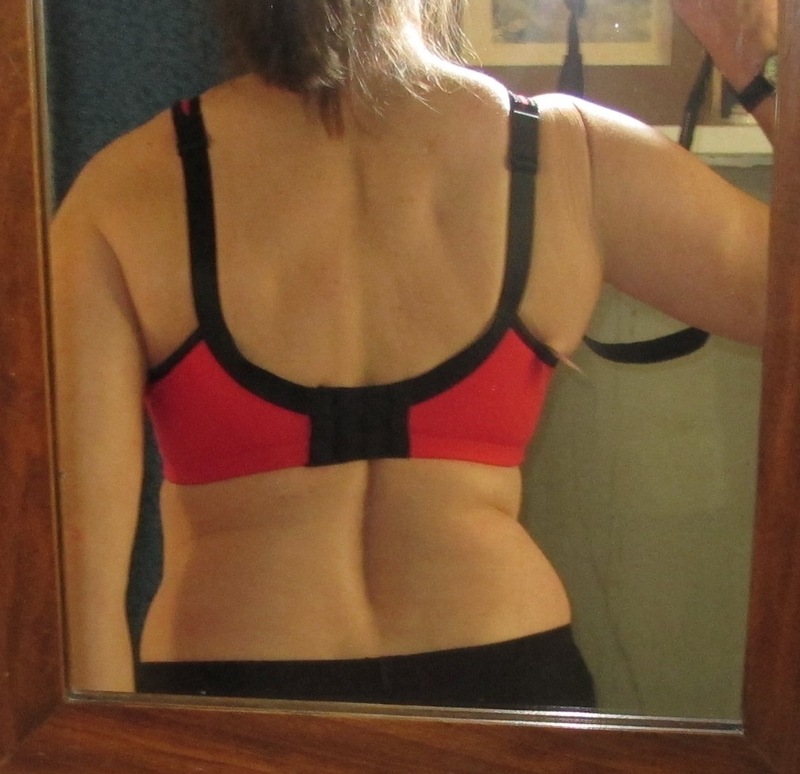 But it has worked better than any other sports bra I’ve tried, and it has held up amazingly well over four years. In the pictures above, I’m finishing a 7-mile trail race, and I look like a happy woman, a real woman who isn’t wishing to be flat-chested. A woman who is proud of who she is. Yes, the seams show, and I’ve read buyer reviews blasting the company for that. Why? I don’t care about seams in a sport bra, not at all. I care about being able to run comfortably. This is sports, not fashion. When you examine the construction of this Freya bra, you can see it’s built on three factors: constructed, three-dimensional cages (for lack of a better word) for each breast, air circulation (the thick mesh fabric around the breasts), and tough straps that do not stretch when you move. This bra holds the breasts close enough to the body so that when I run, they run with me instead of bouncing crazily downward out of the bra in protest. Just a few days ago I visited Zoe and Co. and bought myself a new sports bra, also by Freya. This one’s underwire and comes in a snappy red color. I’ll never lose this in my drawer. I have high hopes for it. It fits very well and looks good under my T-shirt. I’ve been running with a few Shock Absorber bras and tops. One (not shown) is the same model the blog master reviewed a few months ago. It’s a variation on a compression bra that works because of the second band and hooks mid-back, and the key is that the band must be very tight. I think of this as the best compression bra I’ve found, but I can’t wear it comfortably for more than a few hours. 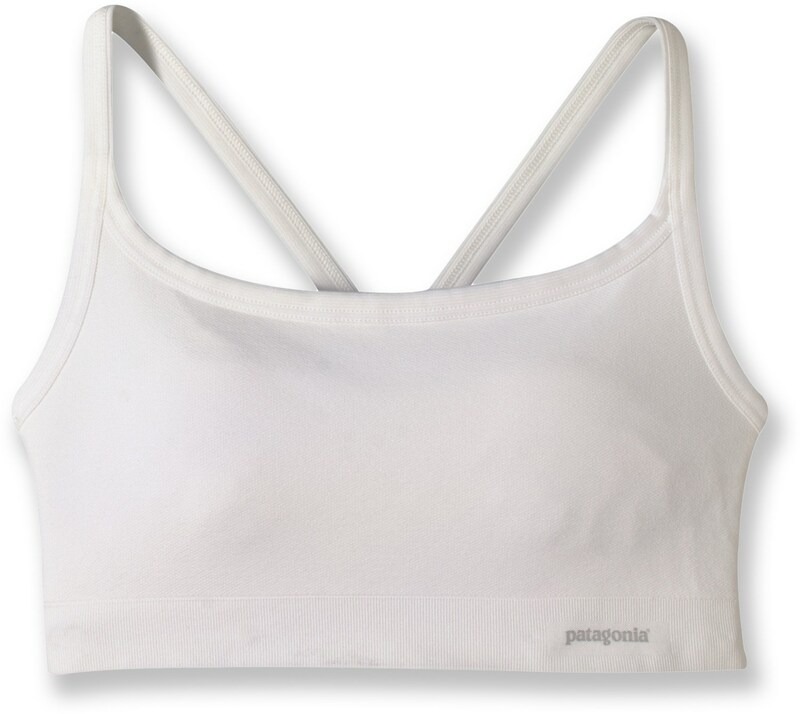 Another Shock Absorber bra I like, guardedly, is a full-body top that I have used for yoga and when running the hot weather. See the photo of me after a Fourth of July race. This has an inner constructed bra with two bands that hook, one low and one high. It takes ages to put on but works pretty well. One of my dark horse favorite bras combines the best of compression/shelf design with the best of encapsulation. It’s a humble, almost homely design by Royce. The band is much wider than most shelf bras, and that saves it. It covers the breasts all the way to that bone that sticks out below my neck. So I’m glad I got it in black for under black shirts, because it often peeks out. The Royce has strategic seams, creating that cage for breast movement during running, and two layers of fabric. I wore this bra for a different 7-mile trail race, that one on a hot August day. It worked well. In fact, I’m wearing it right now at my desk. One more thought. I avoided a bra for years that looked like a cross between a shiny corset and something you might wear after you broke your collarbone. I avoided it because my beloved Title Nine Sports catalog, which has sold it for years, named it the “Last Resort Bra.” I’ve learned that this bra is just called the Enell Sport. It was designed by a Montana hairdresser who, like me, wanted to run and found that most bras don’t work. It ranges in sizes from 00 to size 8. I would not buy it from Title Nine now that I have realized it sells only 0 to 4 and renamed them “XS” to “XL.” My 32E or 34DD size corresponds to size 1 in the Enell Sport. And I’ve ordered one—from Enell directly. I think I’m going to love it. I will let your blogmaster know. Running is a fine sport for the well-endowed. A bra that fits us is not the last resort, but the first.